I generated a sale through Miss Affiliate but I can't see my commission on the Affiliate Dashboard (account)? We approve all sales manually so If you can't see any commission added under the Payout section it's because the sale have not been approved yet. We approve all sales within 31 days. 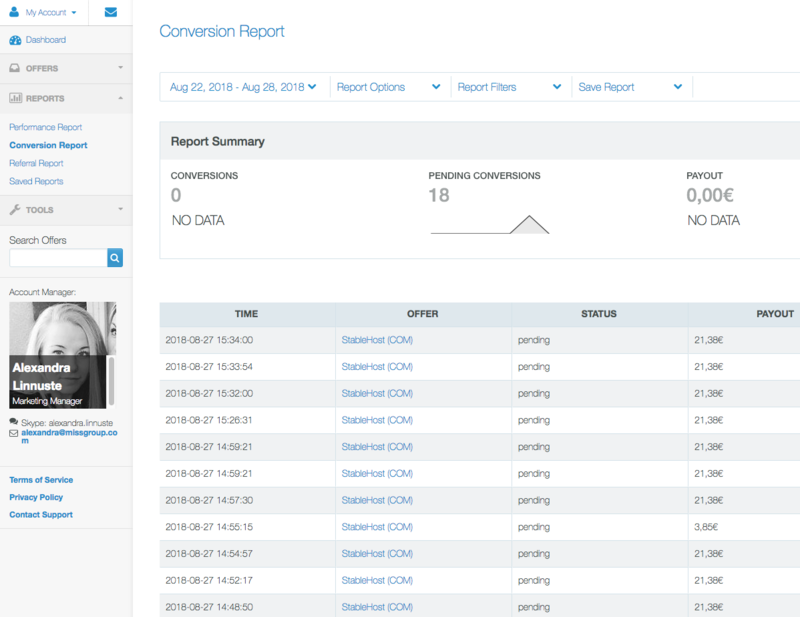 To see all sales (Approved/Not Approved Yet), go to Reports - Conversion Report. On top you can filter by Date, Report Options, Report Filters etc.